With project work and experiences that take you outside your comfort zone, you’ll become a better communicator, critical thinker, and team player as you strengthen your quantitative skills. Explore a selection of the core courses available to you. Designed as a core platform that supports your career track studies, these courses provide a broad perspective on business. This course introduces you to a wide range of principles to ensure you have a basic understanding of issues in accounting, finance, marketing, and strategy. Begin building your foundation in effective communication in a business setting. You’ll learn and practice crucial communications skills such as clear communication, strategic management communication, giving and receiving feedback, using influence and advocacy, presentation skills and career management skills. Hone your skills and build on the concepts of Business Communication 1 as you prepare to succeed in your capstone project and your career. Master team presentations where your analysis and recommendations must hold up to audience challenges, present persuasive recommendations, use narrative structures to enhance coherence, ask and answer questions effectively, and polish interpersonal communication. This course provides a grounding in three skills that will serve you well in both analysis and in life. Critical thinking, to ask good questions and explore data from multiple perspectives. Communication, as a tool, to accurately deliver results. Collaboration, because today’s problems are best tackled in teams where members differ in expertise and specialization. Knowing how to analyze and improve performance in organizations and exert your influence for positive results at any level in your organization is important for long-term career success. This course has two goals—to provide a roadmap for understanding how organizations function and to provide basic concepts you can build on later in your career. Examine a framework for data-driven decision making under conditions of partial information and uncertainty. You’ll acquire probabilistic and statistical tools for understanding, analyzing, and interpreting data. Ensuring the validity and availability of data is critical to leveraging it within an organization. In this course, you’ll explore the fundamentals of data storage, cleansing, and retrieval in order to facilitate data usage in your organization, examining structured, relational database design, and data integrity issues. Deeply explore the interplay between data science and business decisions. You'll learn supervised and unsupervised machine learning techniques such as classification, clustering, and text mining. Gain an overview of modeling frameworks and the art and science of modeling decisions. You’ll learn about decision trees for structuring decision problems under uncertainty, Monte Carlo simulation for simulating decision situations with many uncertainties, and optimization for finding the best possible solution in problems with many decision variables and constraints. Explore techniques to effectively communicate information about data using graphical means. You will utilize popular data visualization tools such as Tableau, Crystal Report, and/or R.
Through case studies, you'll gain perspective on the legal, policy, and ethical issues that arise throughout the full life cycle of data, from collection to storage, processing, analysis, and use. You'll explore topics including privacy, surveillance, security, classification, discrimination, decisional-autonomy, and duties to warn or act. Cover all the basic concepts in finance—discounting, equities, bonds, portfolio diversification, the capital asset pricing model (CAPM), and the weighted average cost of capital (WACC)—in order to establish your knowledge foundation for exposure to more complex financial concepts through the program. Gain a working knowledge of key concepts in portfolio management. This course covers mutual funds, multifactor models, asset classes and allocation, foreign exchange markets, international investment and capital budgeting, hedge funds, private equity, and venture capital. Develop tools for valuing and modeling the risk exposures of derivatives and explore how they are deployed in a corporate or financial risk management setting. The course is divided into three parts, covering (1) linear instruments including forward, futures, and swaps, (2) nonlinear instruments such as options, and (3) corporate finance and risk management applications of both types of instruments. Learn about key concepts in fixed income securities, including bond pricing and term structure of interest rates, interest rate risk management, interest rate derivatives, inflation, fed funds and monetary policy, term structure modeling, continuous time modeling, and no arbitrage modeling. Understand the main concepts of financial risk management for banks and asset managers, including risk management for banks (mortgages, prepayment risks, commercial loans, credit risk, Basel Accords, capital requirements, stress testing) as well as risk management for asset managers (security selection, selection of weights, systematic risk of portfolio). Understand digital markets, their associated key performance indicators, and tools to improve the efficiency of digital marketing. Topics include advertising markets and integrated marketing communication, attribution, ad networks and media buying, campaign performance measurement, social media, search marketing, auctions, e-commerce, marketplaces, assortment and pricing, and multi-channel marketing. Gathering, analyzing, and interpreting data about markets and customers is critical for the success of an organization. This skill is important for careers in marketing, consulting, and entrepreneurship. You’ll analyze data to understand customers and inform marketing decisions, evaluate the quality and usefulness of available data and analyses conducted by others, and communicate analysis-based conclusions to colleagues and managers. Covering a number of overlapping frameworks, you’ll explore the stages of the customer lifecycle and the revenue and profit stream that can be managed according to each stage of the cycle. You’ll learn about quantitative methods to improve the efficiency and effectiveness of customer relationship management (CRM) activities, and an array of CRM-specific models, tools, and frameworks and how to apply them to real-world problems. While most of a firm’s marketing activities create value for the customer, pricing is the only marketing activity that creates value for the firm. You will examine the quantitative tools used to formulate pricing strategy consistent with the firm’s marketing strategy, and how to formulate pricing tactics, estimate the value of a product or service, estimate own-price and cross-price elasticities, and determine when price promotions should occur. Identify and empirically analyze a variety of economic models, focusing on underlying causal forces. Develop skills to make effective managerial decisions and strategic choices based on quantitative analysis of a firm's capabilities and the market in which it operates. You'll focus strongly on the insight necessary to optimally identify, estimate, interpret, and test an economic model. Explore techniques to understand and improve a firm’s operational capabilities. You’ll cover Process Analytics, focusing on individual processes in order to improve process performance, quantify the impact of randomness, and visualize process quality. In Supply Chain Analytics, you’ll cover the entire supply chain, forecast uncertain demand, optimize inventory, and design distribution networks and supply chains to ensure supply meets demand. Strategic management addresses the broad issues faced by management and explores how to structure a firm to use insights from externally-focused and internally-focused analytics teams. You’ll examine industry analysis, business unit strategy, corporate strategy, estimating learning curves, project management, implementation and organizational form, and incentives. Delve into prescriptive analytics techniques to understand and improve a firm's organizational processes. You’ll study diversity analytics, predicting employee turnover, predicting employee performance, recruitment analytics, and intervention impact. Understand how to construct and interpret corporate financial reports, focusing on management’s responsibility for applying judgment to implement financial reporting standards, and the user’s interpretation and analysis of those reports. You’ll cover areas including difficult and complex judgments and estimates, and be able to use the FASB’s Codification of US GAAP to identify and interpret authoritative guidance. Develop an understanding of the various aspects of fraudulent financial reporting, including the identification of fraud schemes and analytical techniques in uncovering fraud in financial reports. You’ll gain an understanding of SAS 99 as it pertains to the consideration of fraud in a financial statement audit, the nature of internal controls and the role of initiatives to curb fraud both from the PCAOB and from provisions of the Sarbanes-Oxley Act. Learn the concepts of Enterprise Risk Management, the enterprise-wide process applied to identify and manage the risk of potential events that may affect the entity; Internal Control, a process that provides assurance regarding objectives for operations, reporting, and compliance; and Fraud Deterrence, the detecting, preventing, and responding to individuals acting outside expected standards of ethical conduct for financial or personal gain. With the processing power and volume of data available to most large businesses, it is now possible to use quantitative techniques to identify potentially fraudulent behavior. When a fraud pattern is detected, these techniques can help identify potential perpetrators and put corrective measures into place. You’ll explore analytics techniques currently being used to identify and prevent fraud in relevant business contexts. Elective courses will be available starting in the second term, or later depending on your career discipline, and will give you more breadth in analytics beyond your area of expertise. You will be able to choose your elective courses from MQM: Business Analytics course offerings specific to other tracks. 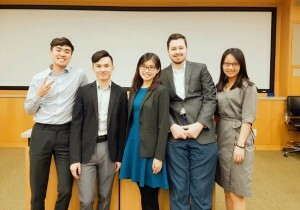 The MQM: Business Analytics program culminates in a capstone project, a 6-week intensive project in which teams of students partner with a faculty advisor and an organization to solve a specific problem utilizing analytics techniques. 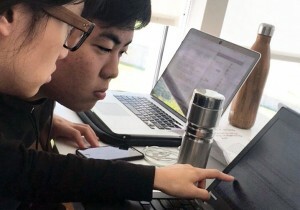 The capstone is designed to give students the opportunity to utilize the domain-specific tools developed throughout the program in a real-world environment in which they are exposed to the challenges inherent to the modern data environment. Our MQM: Business Analytics faculty bring your courses to life through lectures, class discussions, and case-based learning. Your professors will use actual business problems, leverage interdisciplinary perspectives, and help you understand how data is currently being used to transform all areas of business. The case-based learning method uses real-world business cases as the basis for discussions and team projects. This approach challenges you to see business problems from a corporation's perspective and to take what you learn in class to develop quantitatively supported recommendations. Because so much of your learning happens through debate and analysis, you’re expected to be an active participant in class discussion. As a result you’ll learn to think practically, critically, and creatively, preparing you to tackle business problems from multiple perspectives. Fuqua is serious about ethical leadership and we create a climate of integrity. All members of our community are governed by Fuqua's Honor Code. By electing to join our community, in turn, you will be expected to abide by our standards of honesty and integrity.